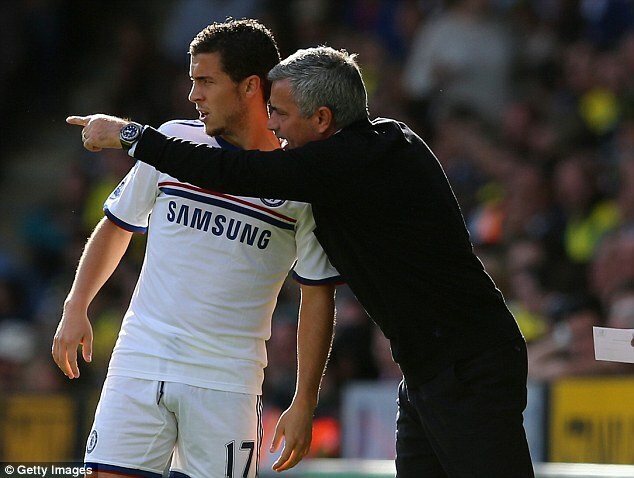 Eden Hazard- "Our aim is to improve & make Jose Happy!" Chelsea winger Eden Hazard has claimed all the squad players are trying to improve and win matches to make Jose Mourinho happy and satisfied with his team. Speaking from when he was promoting and working with Chelsea’s foundation, the Belgian was asked about the manager demanding more defensive work from the attacking players when we lose the ball. He continued further on explaining the characteristics of the Special one by saying he isn’t always a scary person but, tries to be honest with the players and how they should improve to help the team win. 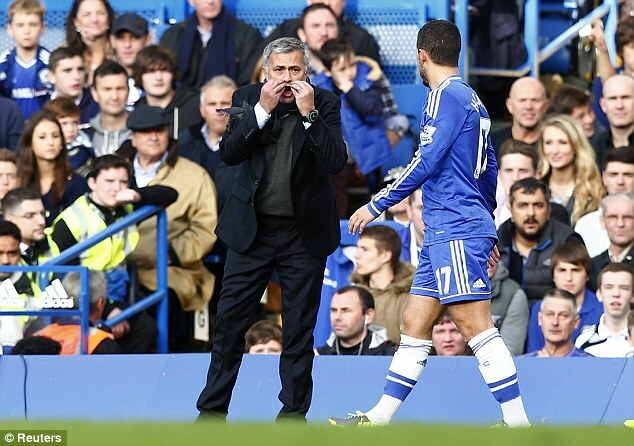 Hazard and Mourinho’s relationship has been put in doubt on more than one occasion this season. The first was back in October ahead of our 3-0 Champions League win against Schalke in which Jose dropped his star winger for failing to arrive early for training. Hazard had traveled to France and forgot to carry his passport which arriving back to London which delayed his arrival into Cobham for training the following morning. The Portuguese went on to dismiss the controversy by simply stating that ‘kids make mistakes and fathers need to be clever in a way they educate their sons’. And the 2nd story about the pair was last week on Daily mail which claimed Mourinho is unhappy with Hazard’s behavior as he is first to leave training and lunch and that he should behave more like a top player. The news had no source at all and is totally farce looking at it from the website we found the information from. But, Hazard continued on his comments by admitting he liked his manager’s praise following the Sunderland game in the premier league in which he grabbed a double and assisted Lampard for the equalizer. Cole to retire at the end of the season? Yes we need to improve especially defensively allowing easy goals oflate that needs to be corrected sooner than later. ‘It’s sad because I think a league gets better if we keep the good things and we improve the bad things. One of the good things is that sense of stability, to let people work without pressure. ‘I had Real Madrid and I left because I wanted to, not because they wanted me to. I had other clubs in other countries where it would be easier to go to. ‘If I was here for financial reasons, I wouldn’t be here, getting a lot less money than I had at Real Madrid. I didn’t come because the job was easy, or because I had a team ready to attack the title, or for the best contract. It’s the worst (contract) of my last six years. I’m here because I love the club and I love the project. I agree. And he needs to be more consistent. PL Team of the season so far. I like Eden Hazard and chelsea.Hazard is future of chelsea.